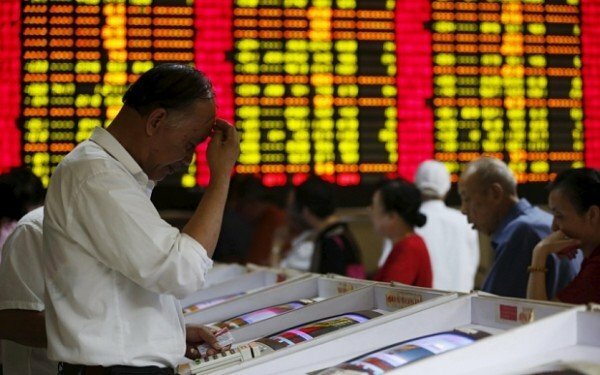 Home Tags Posts tagged with "chinese market"
China’s stock market traded lower once again on August 20, despite Beijing’s efforts to calm markets. China’s benchmark Shanghai Composite was 1.5% down to 3,735.92 points. The negative open comes after the index had seen strong volatility since the beginning of the week. Hong Kong’s Hang Seng index was also pulled lower, down 1.6% to 22,794.63 points. Shares across the rest of Asia also fell on August 20 over worries about China’s slowing growth and volatile equities. Meanwhile, it was a weak lead from Wall Street overnight where oil companies saw sharp declines after another drop in the price of crude. The minutes from the July meeting of the Federal Reserve also failed to inspire markets. The minutes showed policymakers thought conditions for a US rate rise “were approaching”, but there remained worries over inflation and the strength of the global economy. The region’s largest stock market, Japan, closed down. Nikkei 225 index ended day down 0.9% at 20,033.52 points. In Australia, the S&P/ASX 200 index finished with a sharp drop of 1.7% to 5,290.50 points. Shares in the Australian flagship carrier Qantas dropped by more than 6% despite the airline reporting a return to full-year profit earlier in the day. In South Korea, the benchmark Kospi index finished 1.3% down at 1,914.55 points. China’s biggest e-commerce group Alibaba has bought an 18% stake in Weibo, China’s largest Twitter-like service, as it looks to tap into the fast-growing social media sector. Alibaba will pay $586 million for the stake, valuing Weibo at over $3.2 billion. The deal is expected to help Alibaba drive traffic from Weibo, which has more than 500 million users, to its e-commerce sites such as Taobao. 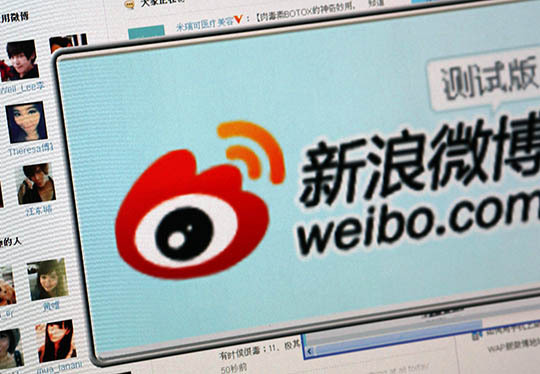 It will also help generate additional advertising revenue for Weibo. According to the two firms, the partnership will bring in $380 million more in advertising and social commerce services revenue for Weibo over the next three years. “We believe that this strategic alliance helps to create a stronger Weibo,” said Jack Ma, chairman of Alibaba. China has become the world’s biggest internet market and it is expected to grow even further in the coming years as more people get access to the internet. Alibaba, was one of the early pioneers in the sector in China and has benefited from this boom. It offers various services, including Alibaba.com which connects businesses across the globe to Chinese manufacturers. It also runs online shopping sites for retail consumers in China as well as an online payment service Alipay. Driven by its success, the firm has been looking to increase its dominance in the Chinese market. Meanwhile, social media sites such as Weibo have seen tremendous growth in China in recent times and have become a powerful medium for consumers. The two companies said their partnership will help them grow their respective businesses and that they will “cooperate in the areas of user account connectivity, data exchange, online payment and online marketing, among other things”. “Weibo and Alibaba’s e-commerce platforms are natural partners,” said Charles Chao, chairman SINA, the parent firm of Weibo. According to the deal, Alibaba will have the right to increase its ownership in Weibo to 30% at a mutually agreed valuation “within a certain period of time in the future”.